If there is one thing that Musicians and artists detest, it is being put in labelled boxes in a bid to define their sound. Genres are a creation of Music Labels in a bid to find specific markets for their artists. This has, over the years, become a mixed bags of fortunes working in favour for those artists seeking commercial success and against the underground artists who are usually more concerned with just making good music. Whether it becomes a hit or not is usually secondary. The best example is the use of the term NeoSoul to define New soul singers such as Erykah Badu, D’Angelo, Maxwell and many others who, Mo-town records needed to package as the new sound of soul, perhaps to give a distinction between the new generation of soul singers to the older one. We are in a world defined by all manner of awards and competitions to be a super star, the things that define how many opportunities an artists will accessible to such as concerts, brand endorsements etc. Therefore music genres and categorisation of sounds is here to stay. The best we can do is use this machinery to highlight new good music coming from Africa. That new music which has a blend of African Folk and Soul sounds is African Soul or AfroSoul. Do you know artist such as Asa (pronounced Ashaa) Nneka, Ayo, how about Somi. These are just some of the artists who are defining that sound. We focus on them and some of the songs that have enjoyed some success. I will start with our very own Harry Kimani. His hit single ‘Haiya’ off his album ‘Unborn’ was the best indication that a new sound was brewing from not just Kenya but even from other parts of Africa. Kikuyu music has never sounded that good that most couples wedding then walked down the isle to this song. Real name: Bukola Elemide. The Nigerian singer-songwriter is one of the most popular new-generation artists to emerge from Africa. She released her sophomore album, ‘Beautiful Imperfection’ last year to immense critical acclaim. The Paris-based artist is renowned for her fusion of contemporary Jazz sound, pop and reggae with traditional Yoruba melodies. She is perhaps the best known African Musician whose songs ‘Fire on the Mountain‘ and Jailer off her first album Beautiful Imperfection(2010) . Asa recently released her single ‘Dead Again’ earlier this year. Never before has an African Gospel song from a previously unknown artist become a world hit. In 2011 Zahara ( born as Bulelwa Mkutukana ) released her debut album Loliwe, which proved to be a big success; it went platinum in 13 days and went double platinum after just 17 days, selling over 100,000 copies in South Africa. The music video for her debut single, “Loliwe”, has eclipsed the 1.3 million views mark on YouTube. Her music has been described as a mixture of music styles by Tracy Chapman and India Arie. Zahara has 2 Studio albums; Loliwe (2011) and Phendula (2013). She has been to Kenya once at the Blankets & Wine concert. This group of Paris based duo originally from Chad has been around for some time. Any Kenyan fans of the Capital Fm’s show ‘The Soul Lounge’ by Terry Bellow that came on Saturdays from 5pm – 7pm would remember that Terry never failed to feature a song or two by the group. The most popular ones were ‘Sarava’ a collabo with African Jazz great Manu Dibango and Makeda. The duo has performed in Kenya in 2007 though their concert was not well publicised and some of us got to know on that material day and hence missed the concert. The duo executive-produced Echos, Chapter One in 2005 on their label Nubiatik; a joint venture with Triloka Records. The project features artists from France, and the U.S. performing poetry and music from the urban edge. Echos, Chapter One: Nubian Voyager was released in 2006 as a book accompaniment to the CD. Miss Lira has been to Kenya a couple of times performing at the ‘Tusker Malt 100 club as well as at the Blankets & Wine concerts. South African Lira was born Lerato Molapo. She is a multi-platinum selling and a 8 time South African Music Award-winning Afro-Soul vocalist who refers to her music as “a fusion of soul, funk, elements of jazz and African. Some of Lira’s greatest hits are Ixesha, Feel good and Rise Again from her latest album by the same Title. Lira has so far produced 6 albums. She has been on a World Tour to promote her album Rise Again. Somi is an American singer & songwriter of Rwandan and Ugandan descent, perhaps one of a few African Soul artists from Uganda( The other 2 male musicians are also featured on this list). I admit, Somi’s music leans more towards Jazz than Soul, however, she does oscillate between Jazz and Soul in the 5 albums that she has produced so far, perhaps the song Enganjyani best illustrates this . Her latest one, The Lagos Music Salon released this year. in 2007 , the hit single Ingele that maintained a Top 10 position on U.S. World Music Charts for several months. Listening to Michael’s music takes you back to the 60s in one of the Motown studios listening to the likes of Otis Redding, Sam Cook and Bill Withers. Its no wonder he has often been compared to this Soul Music legends yet he is only 26th. His song Tell me a tale from his first studio album Home again pays homage to all Soul greats as well as Africa’s great Fela Kuti. Maurice Kirya Known as the Ugandan “King of Mwooyo” is now a household name in the Music Industry as a unique breed of Artist. Known for his enormous talent and unique style of Music that he prefers to call “Mwooyo” or Soul, Maurice Kirya released his maiden album The book of Kirya in late 2009. Soon after he released the album MISUBBAAWA. Ayo and the next artist on this last share striking similarities. They are both German-Nigerians who broke onto the music scene around the same time. Their music style is also quite similar though what completely sets them apart is the subject of their songs. Ayo has new music off her latest album Ticket to the World which she released in 2013. Often compared to Lauryn Hill due to the depth of her lyrics and blending of hip hop and reggae in her music, Nneka Lucia Egbuna is a German-Nigerian hip hop/soul singer and songwriter. She sings in both Igbo and English. Her first album Victim of Truth, was a huge success with such heats as Africans which criticizes Africa’s leadership and our attitudes to colonization. She has so far recorded 5 albums with Soul is Heavy her last album recorded in 2012. Since then she has released various singles such as Shinning Star and Kangpe. 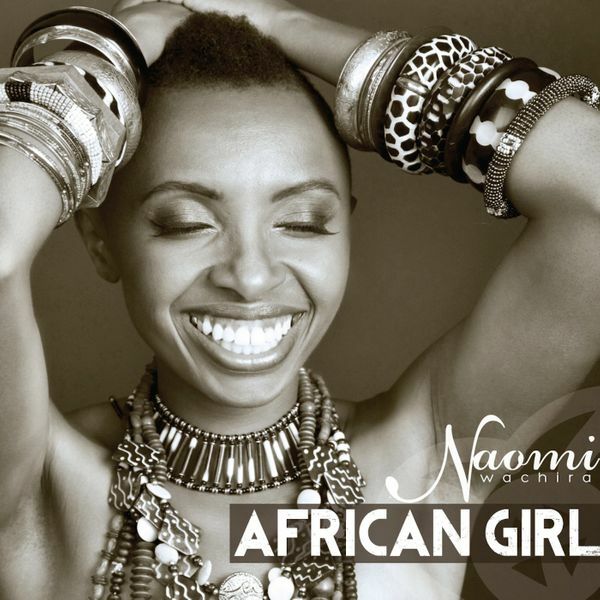 Naomi’s hit single African Girl from her first Album by the same title is a beautiful blend of Kikuyu folk music and Soul sang in English and Gikuyu. Jane Awindor known by her stage name Efya, is a Ghanaian Neo soul vocalist, songwriter, and performer from Ghana. On November 11, 2013, Efya released T.I.N.T., a digital mixtape which consist of songs that were released between 2011 to 2013.The mixtape was supported by the singles “Getaway” and “Best In Me”. She is currently working on her debut studio album Love Genesis. The album, which was scheduled for a February 2014 release, has been pushed back. “Forgetting Me”, the album’s lead single, was released on January 11, 2014. Efya has also performed in Kenya courtesy of Tusker Malt 100 club. My favourites from her are Get Away and Asa in which she collaborates with renown Ghanian Hip Hop artist M.anifest. Truth be told, I only discovered Debra’s music a few weeks ago. Talented Cameroon-born, London-based soul singer/song-writer Debra Debs returns with a fresh new album entitled ‘LifeCycles’ – released late November 2013 and rapidly garnering rave reviews within the UK soul and jazz circuit. For music lovers with a penchant for sounds blessed with groove and soul, this is one album that is guaranteed to stay on rotate. The last 3 years have culminated in an impressive music CV for an unsigned artist. First kicking off with her 2011 EP release ‘WHUMAN’ with it’s socio-conscious liberating track Africa ‘Higher Higher’ reaching 1+ million Youtube hits and being broadcast across Africa and the UK. You will note some interesting similarity between her hit single Higher Higher and Nneka’s Africans. Very little information is available about Kenyan Artist Pozi. However, his hit single ‘Beautiful Girl’ deserves a place in this list for the beautiful track and really well done video. Bringing Big Music Concerts to Kenya | Bankelele on The Debate on Live Concerts in Kenya: Are we getting it right?